Robert's bike was customized in 2012. Sueno Firme has been featured in Club House Magazine. 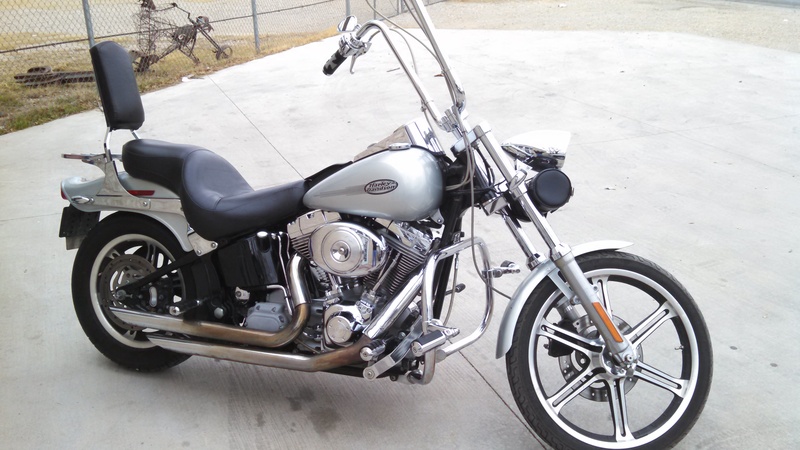 LCM stretched original gas tank, custom made dash, split and narrowed a fender blank for rear fender - frenched in license plate and tailight, custom lower right side panel with ignition switch, custom bezel around horn cover, custom hand tooled seat by Wicked Catus Leather. LCM sprayed Brandy Wine with gold lacing with air brushed murals by Jason Oberly. 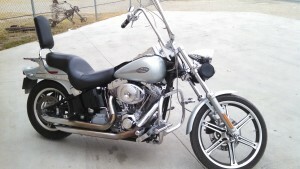 Harley's bike, customized in 2011. Bonita, featured in Club House Mag. LCM stretched an aftermarket 3.2 gallon gas tank, custom made dash, fabricated a fender blank into a rear strutless fender - frenched in license plate and tailight wrapping around a 200mm Avon Tire, right side sprotor kit, custom seat from Wicked Castus Leather in a custom metal seat pan, custom dual exhaust system, custom sprocket cover, internal throttle, and raked triple tree. LCM pained black on pearl paint job. Ebando's bike, customized in 2010. El Fuego featured at a TTU Men's B-ball game promoting the Ticket City Bowl invite of TTU. LCM strecthed original gas tank, the saddlebags with fish tails off-set and molded in the center of the bags, the back fender frenched in license plate and tailights, custom made signal light covers, air ride suspesion, custom made dash with Siruis radio and air ride buttons, custom made alligator seat by Wicked catius Leather. LCM painted the Fireman Special Red paint job.